Jonesboro Road is a six mile corridor stretching from intown Atlanta to Clayton County. 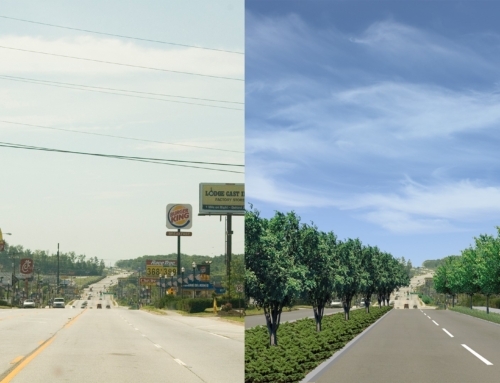 The road runs through diverse environments, including pre-World War II urban neighborhoods, post World War II suburbs, and areas that still feel almost rural. At one time, Jonesboro Road was the key highway connecting Atlanta to points south. Unfortunately, the construction decades ago of I-75, one mile to the west, effectively caused growth to bypass the corridor. With it, businesses closed and development halted. In early 2000’s, however, the corridor had seen its fortunes change as citywide population growth pushed development into this overlooked corridor. Unfortunately, much of this growth had occurred on forested lands and in a haphazard manner that threatens to displace longtime residents and destroy area character. 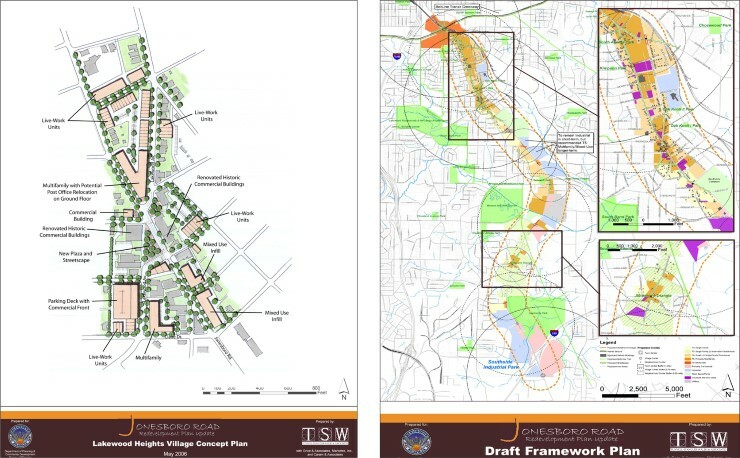 In late 2005, TSW was retained by the City of Atlanta to prepare an Urban Redevelopment Plan for Jonesboro Road that would establish a long-term plan for preserving its historic resources, neighborhood character, and sense of place. 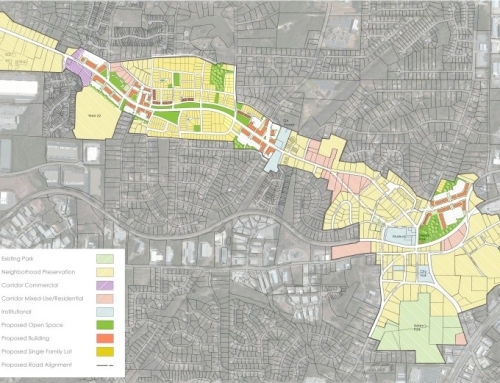 With this mission, TSW and subconsultants Grice Consulting Group, and Marketek, Inc. embarked on an eight month process to create an action-oriented Urban Redevelopment Plan for Jonesboro Road. 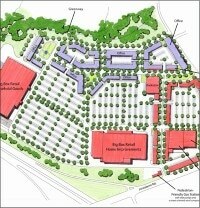 After a detailed analysis of existing conditions, and an extensive public involvement process, the team developed a neighborhood-based plan that will result in thousands of new jobs and mixed-income housing units, miles of sidewalks, and acres of new park space. 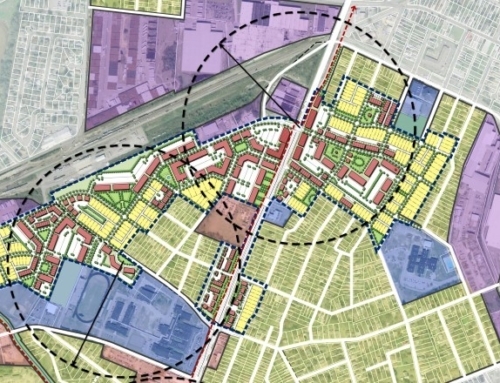 Key recommendations of the plan include the identification of several catalytic development sites along the corridor that will remove its greatest liabilities through market viable redevelopment. 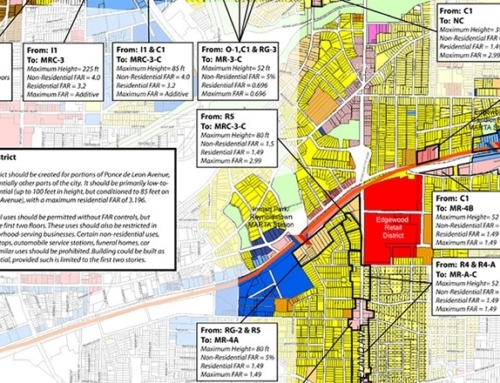 Among these are a car impound yard targeted for a mixed-use development, a redevelopment of a former shopping center into a pedestrian-oriented big box development, and small infill projects within the Lakewood Heights neighborhood commercial node. The plan also includes a 15-year capital improvements program for various identified transportation and infrastructure projects. 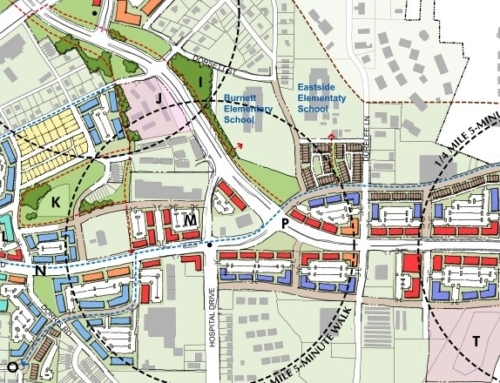 These include: a new east-west road to connect Jonesboro Road to Moreland Avenue; bus service upgrades; intersection realignments; a greenway trail system; and several dozen pedestrian improvements. These improvements are intended to spur private investment and target growth into already-developed potions of the corridor, rather than its last forested tracts.